It’s on! 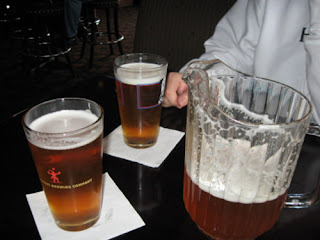 I thought about taking the hiatus but when you are blogging from downtown Portland, while bar hopping to catch every game, how can you not put all those crazy thoughts down? 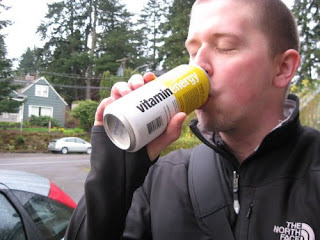 The day started with a full on, overload of caffeine, from a Vitamin Energy courtesy of Vitamin Water. Citrus is the best by the way! And then to a Portland fixture known as the Cheerful Tortoise to watch the opening game which just so happened to be Portland St. vs. #1 Kansas. In case you didn’t know, the Cheerful Tortoise is right on the Portland St. campus and was packed! Blood Mary’s, Mirror Ponds, and the $7.50 New York Steak breakfast are a no brainer. What a start to the day, and then PSU got crushed by the Jayhawks. There was one good game in the opening session with Xavier and Georgia that came down to the last few minutes. Xavier looked to be the first top seed to drop and then somehow turned it on late and ran over Georgia. Let’s hope this second session lives up to some historical NCAA hype. The highlight of the morning had to be the sales rep that picked up the first bill. 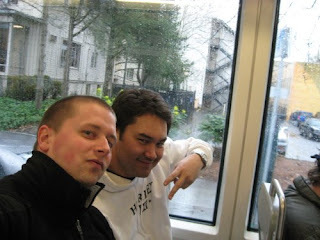 Thanks Jason for giving us all a reason to not hate on the sales profession! A bunch of blowouts again. Not too many updates, but I do have some pictures from the bar change! And, my bracket is absolutely perfect until USC loses this next session. Picture time! Third session update tonight. 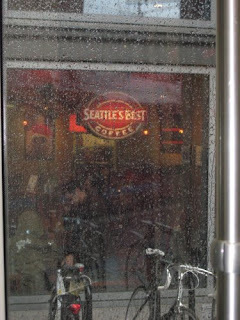 Coffee and rain, the Portland standard. 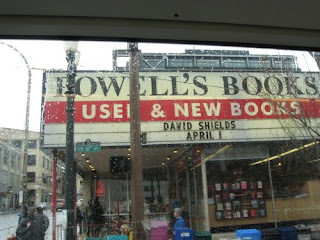 Powell’s book store. 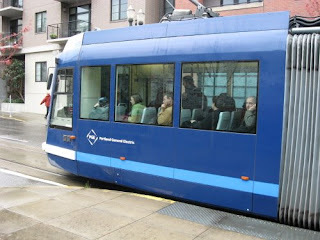 If you come to Portland, you better make your stop here. I am now ruined because of USC! I was actually dumb enough to put them all the way into the Elite 8. Don’t ask. The other game I lost on the day was BYU dropping tight one to Texas A&M but that doesn’t worry me since they’ll be getting crushed by UCLA on Saturday. This session was by far the best of the day. What about Duke almost going down? The first day was definitely a success which ended with a screening of a friend’s documentary at a local theater. The documentary could actually make it to the Toronto Film Festival which would be amazing! Long day, but a ton of fun. Ken and I will be back at it tomorrow morning! Well, after he hangs out with Barack Obama for a bit.